1. Switch to a lighter moisturizer. Increased temperatures are directly proportional to increased oiliness! Increased oil production means you can either use less moisturizer on the face (just address the areas that are dry) or switch to a lighter moisturizer altogether. If you’re using a light moisturizer, switch to a serum whereas if you’re using a thicker cream, opt for a light moisturizer instead! 2. Don’t skip out on the sunblock. You may not see the effects immediately, but sun exposure overtime can do a number on your skin. Use a moisturizer with a sunblock in it to help protect against harmful UVA and UVB rays. If your moisturizer is separate from your sunblock, skip on using the moisturizer to avoid a grease-fest on the face. Ideally, let the sunblock absorb into the skin for at least 30 minutes before applying any make-up. 3. Use a mattifier instead of (or before applying) foundation. For those of us blessed with great skin, a mattifier works well to absorb and reduce excess shine throughout the day. When layered underneath foundation, a mattifier also helps make-up last longer and minimize the need for touch-ups! 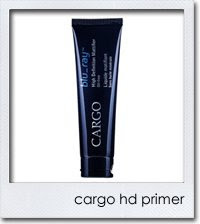 Use tried and tested Cargo’s Blu-Ray HD Mattifier or MAC’s Matte on the areas of the face that are most prone to shine. 4. Keep a pack of blotting tissues handy. Rather than doing a repetitive routine of constantly applying powder whenever oil appears, use blotting tissues to combat shine. To keep your make-up looking fresh, absorb the excess oil with the blotting tissue first and then lightly pat with your powder to polish it off. This method also works best for helping to reduce the chance of break-outs! 5. Don’t overdo it on the powder. 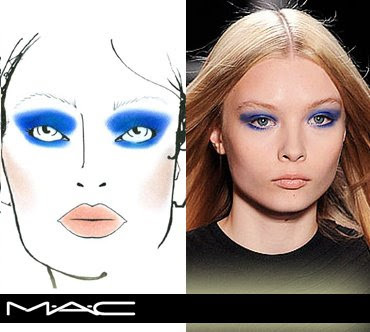 When you pack on too much powder, especially atop an oily surface, it can approach a cakey look. Blot with an absorbing tissue first, and then use a puff or even a brush to lightly pat the powder on oil-prone areas (pay particular attention to the T-zone area). 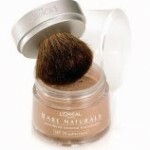 Avoid packing on the powder as your face will only get slicker (and quicker) before the next anticipated touch-up! 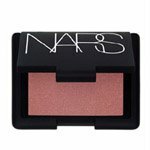 During the summer, the look is all about healthy, glistening skin and the bottom line is that it’s tough to keep up a routine of a matte face when the weather is warm. 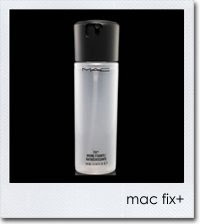 Instead play up the look by adding a spritz of MAC’s Fix+ for an instant dewy glow. Fix+ is also infused with vitamins and minerals that are a real treat for your skin!